hurray for the finished sock! hope to see #2 soon. yeah, i was doing my picks today and was surprised to see kentucky in #8. sorry to say I only picked them to advance to the second round and no further. but you never know with these tournaments! we'll just have to see! 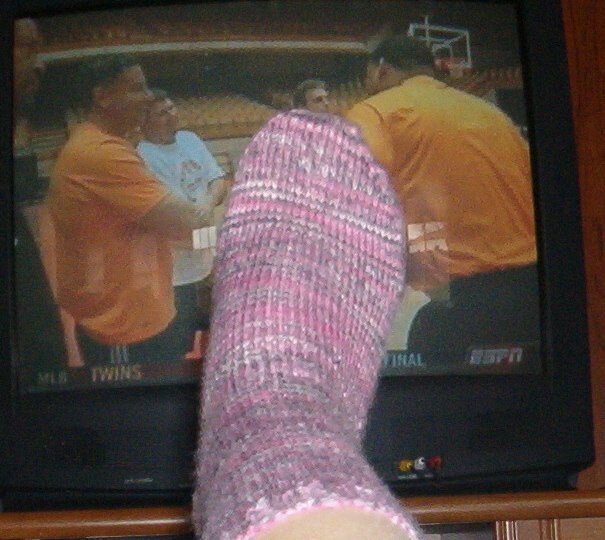 Don't know much about basketball but I can say with authority that your sock is beauty! You see? We knew you could do it! I'm glad you figured out the secret recipe for your teeny feet. That's my roadblock for all projects... how to make it fit. So you've tackled the biggest hurdle in my mind. 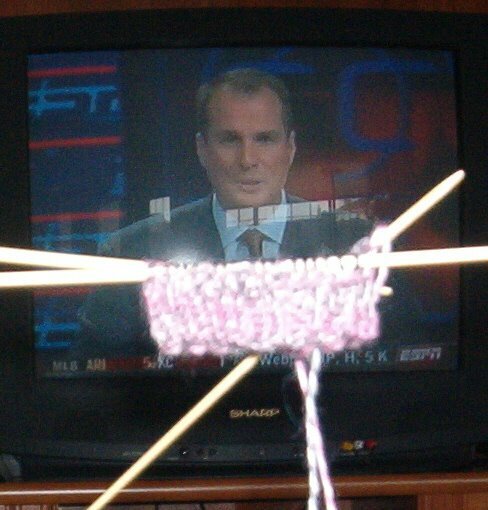 And the sock looks great! Yay! Yay Stacy! 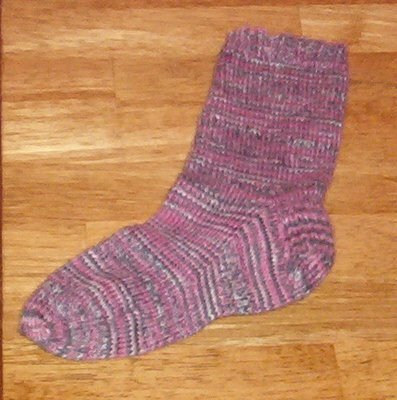 I love knitting socks! I bought some Vesper sock yarn and I think I'm going to make some Jaywalkers.